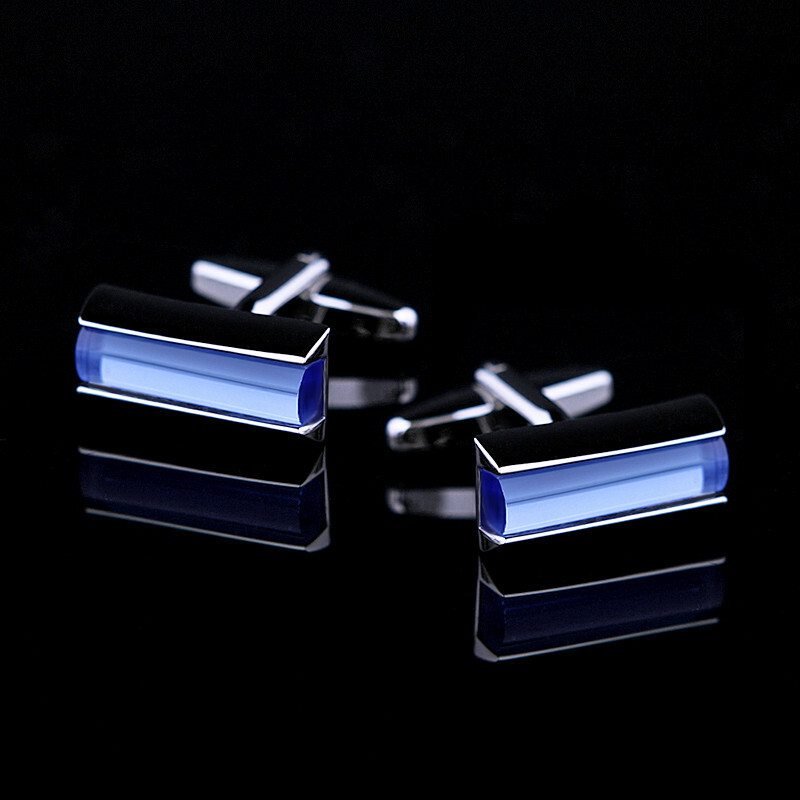 These modern crystal sky blue cufflinks will be the star of your collection. Add some sparkle to your formal wear or to your everyday business attire when you wear these gems. 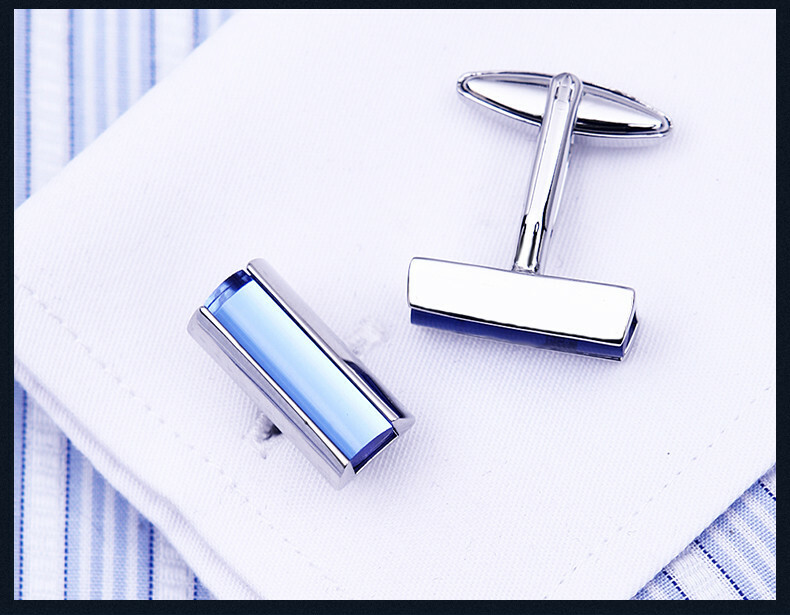 These sky blue cufflinks are the perfect addition to almost any ensemble. The sky blue colored crystals are set in a rectangle shaped setting and have a standard bullet back closure. 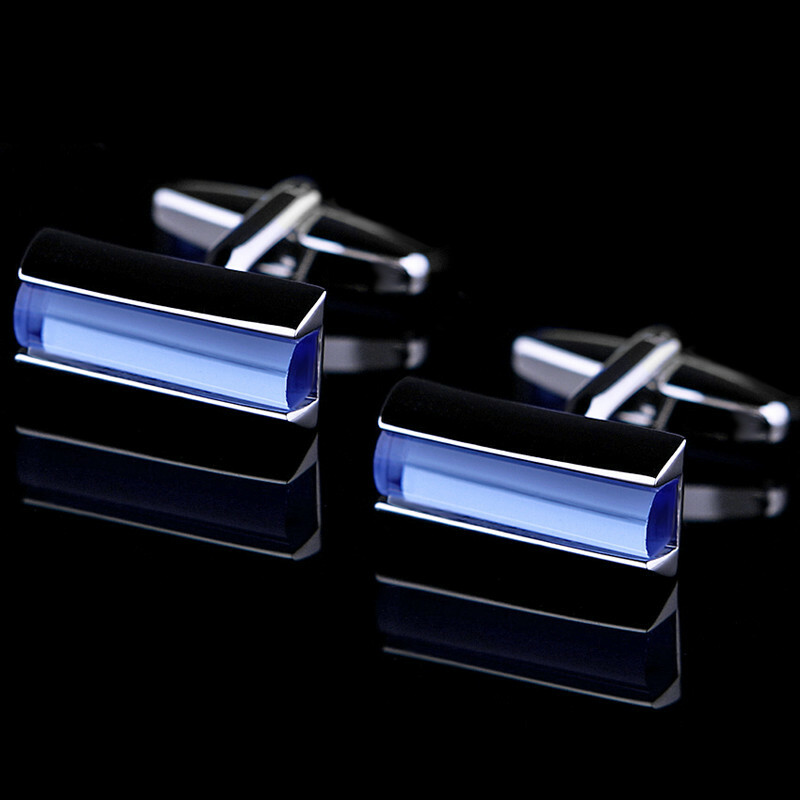 The highly-polished silver-toned finish of these cufflinks perfectly accents the beautiful blue crystal. 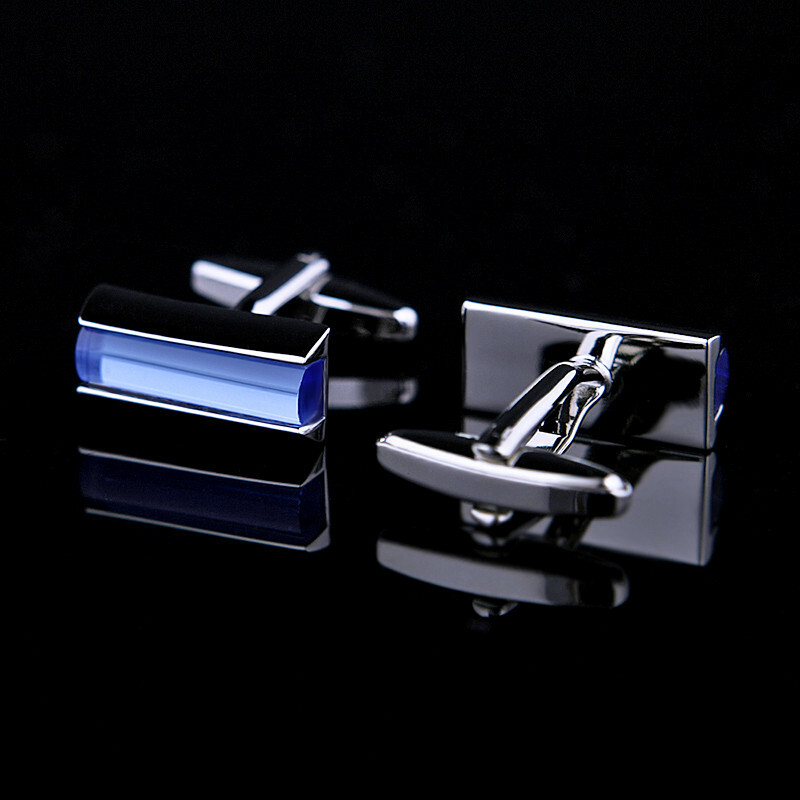 Each cufflink measures 19mm x 9mm / 0.74″ x 0.35″ and weigh less than half an ounce each. With so many ways to add personality to your suit, don’t be afraid to show some class and style beyond your standard tie and pocket square. 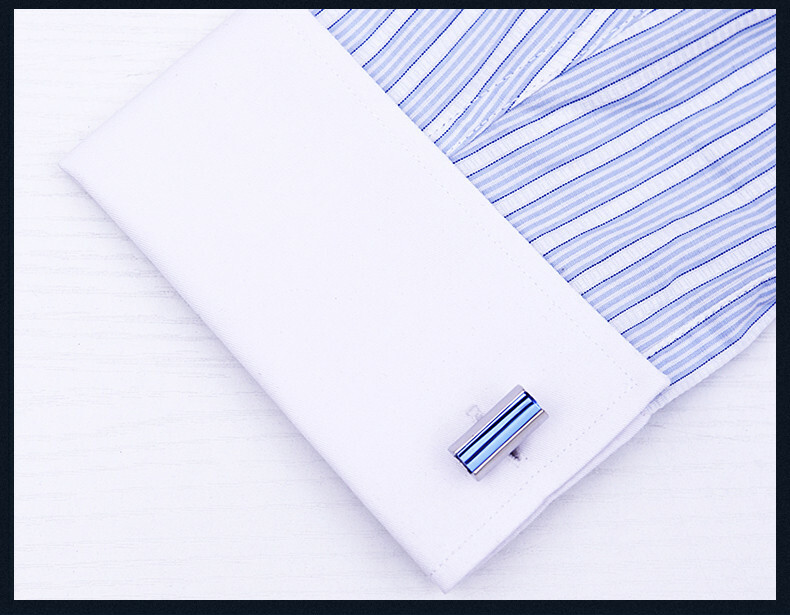 It is easy and affordable to get yourself noticed by adding these sky blue cufflinks to your accessory collection. These cufflinks make a great gift for the modern gentleman in your life for the holidays, birthdays, Father’s Day, anniversaries and more. Spoil yourself or someone you love today. Great cuff links to the classic shirt and suit. perfect description. value for money. good product. will buy more. ts a good product for price and delivery time. came well wrapped securly and individual bags. so its well protected in mail. They are very stylish!!! thank you very much!!! !